Want to get into junior racing and join the ranks of the Formula Future racers. The Future of Power Boat racing, Is in our junior program. Junior races from the age of 8 years and older can participate in controlled conditions while learning the fundamentals of racing. J1 Class Is for the youngest of our racers. These racers may use an engine of up to 6hp manufacturers rating. 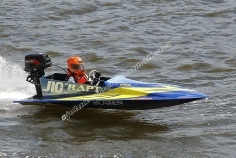 J2 Class is for racers aged 10 years & older. These racers may use an engine of up to 10hp manufacturers rating. J3 Class Is for racers aged 12 years and older. These racers may use an engine of up to 15hp manufacturers rating. A NSW Waterways Young Adult licence is compulsory for J3 competitors. All junior engines are allowed only very minor modification from stock. The purpose of the program is to encourage and teach driver skills. J1& J2 racing is conducted on a shorter course and J3 race on the full seniors course. All events are conducted on a handicap basis. With each racer doing timed laps of the course and their start time for the event being worked out from this. Many of our top name drivers have come through our junior program, including Craig Bailey, Troy Marland, Michael Newton & Lyndsay McMillan, names well known to power boat racing followers. Girls are also a part of Formula Future racing, its definitely not boys only. Formula Future events are conducted at most spectaculars and all Club Days at the clubs listed above. There is also a junior class in the Bridge to Bridge boat race, they leave from Wilberforce and race to Windsor bridge under the eye of an official boat who follows them up the course. First Formula Future boat gets to grab the coke bottle hanging from the Bridge. What you need to do to get started. 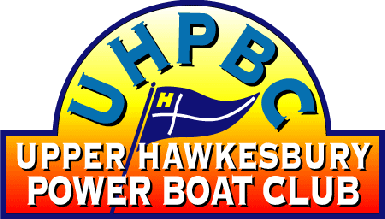 Get to a few meetings at Upper Hawkesbury Power Boat Club, held each month except January, talk to the families and drivers, sit in a few boats, ask lots of questions. you might even be able to organise a drive in one of the boats to see if you like it, most families are happy to encourage new families into the sport. Join an APBA Affiliated Club. You will find a list of those in NSW you can join Upper Hawkesbury, here is the form: UHPBC Membership online renewal. • A photocopy of your NSW Maritime or other State Boating Authority Boat Licence and/or Boat Registration is not attached. • Forms (Medical/Licence/Boat Owner) are NOT COMPLETE or NOT SIGNED by YOURSELF or YOUR CLUB – it is YOUR responsibility to prove you have current Club Membership – not ours! • There is NO Payment attached. Are valid for competition at individual events. • Only two (2) NOVICE Licences can EVER be obtained. • Not valid for any Championship, Major Day or Speed/Time Trials. • Require the use of the Self-Assessing NOVICE MEDICAL Form. • Are not to be issued to any driver that has previously held any type of APBA Competition Licence. You may also obtain an APBA Formula Future competition license. With this you may compete at any event you are licensed for. With this license you can compete at club events at any affiliated club anywhere in Australia. APBA competition license in NSW are divided into two sections, one for the boat owner and one for the driver. If you are driving a boat that is already covered by an APBA Boat Owner membership, you will only need to buy a drivers license. Other states may differ. Naturally you will need to know the rules for the event you are entering, and as laid down in the APBA rule book. You will receive a copy of the rule book with your competition license. Novice Licenses do not receive a rule book. And you will be expected to make yourself aware of the course rules for the venue you attend. A helmet in adequate condition and either safety / international orange or bright yellow in colour. The colour of the helmet must contrast with the colour of the boat. The only writing on the helmet can be the competitors name with the lettering not exceeding 20mm x 100mm. Once only on the helmet preferably at the base of the helmet. A life jacket suited for racing use. This must have leg straps. Full coverage driving suit. As a minimum overalls are acceptable. How are license costs determined. Your license fee is mostly used to pay for the insurance that protects us all. Only a very small pert of the license costs will be used for administration. The APBA is a non profit body, and we exist for no other reason to foster power boat racing events. Get on the water and race! Racing around the water on your own is one thing, doing the same thing with half a dozen other boats sometimes a few inches away from you is another. Especially in a corner. As a new driver you will be given an outside starting position, or sometimes even behind the field. Watch the line drivers take throughout the course and learn from it. As a newbie don't try to get to involved until you are well aware of how you boat handles in race conditions. Drive wide on corners for your first few events, as your skill improves so will your confidence, and after a while you will think nothing of going gunwale to gunwale with other drivers. Get as many races as you can. Handicap races are the go for new drivers. In these slower boats go earlier than faster boats and in theory everyone should finish in a nice neat line, they don't though and this is where driver consistency and skill pays off. This same consistency and skill is the hallmark of a good driver in any area of the sport, from the smallest juniors to the biggest unlimited. Arrive nice and early, and make yourself known to the officer of the day, or to the control tower who will advise you what to do next. And who to see to have your boat inspected by the club boat inspectors. Talk to the other families we are a friendly bunch. Formula Future races are handicap events. Speedboat handicaps are based on time. You will first do some laps where you will be timed. It is important to remember that these laps will be under different conditions than an actual race. The water will not have other boats wash all around the course, and in the corners you will not be negotiating your way with several other boats. Maintain a speed that you think you can duplicate under race conditions. You will be given a time to start, which will be by a clock on the control tower. It is important that you start right on time. If you do your exact same time for the race but start 10 seconds late, its not going to do you much good, because if you come in with the rest of the field, you will have gone to fast (Breaking time) and will be disqualified. It is very important that you cross the start line on time, the only way to do this is practice.. Starting all over the place is not the way to become a winner. Remember above all safety is the first thing to consider in any situation. If you feel it is becoming unsafe or your skills are not up to it, slow down, don't close your eyes and hope for the best. Have fun and enjoy going racing with your family. 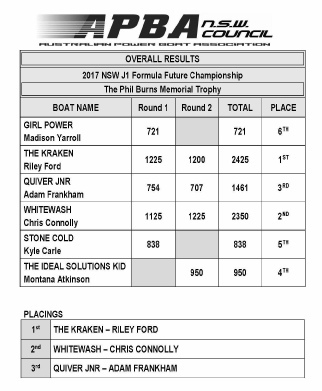 Occasionally, at race meetings the Australian Power Boat Association (APBA) or APBA Affiliated Clubs may take photographs or video or web cam recordings of drivers in the Formula Future classes. The APBA or Club may use these images in printed publications, as well as on APBA or Club websites or on project display boards. From time to time, media may visit race meeting and may take photographs or film footage of a high profile event. Formula Future Drivers could often appear in these images, which may appear in local or national newspapers, or on televised news programmes. To comply with the Data Protection Act 1998, we need your permission before we can photograph or make any recordings of your child for promotional purposes. However, you should be aware that this consent does not cover members of the public not associated with the Australian Power Boat Association or APBA Affiliated Clubs. Please read and answer questions 1 to 4 below, then, if you agree, please sign and date the form where shown. Return the completed form to with your Formula Future licence paperwork as soon as possible. 1. This form is valid for five (5) years from the date you sign it. The consent will automatically expire after this time. 2. The APBA or Club will not use the personal details or full names (which means first name and surname) of any child or adult in a photographic image or in any of our other printed publications without good reason. For example: The APBA or Club may include the full name of Formula Future driver has won an award or to publish results. 4. The APBA or Club will not include personal information, such as e-mail or postal addresses, or telephone or fax numbers on video, on our website, or in other printed publications. 5. 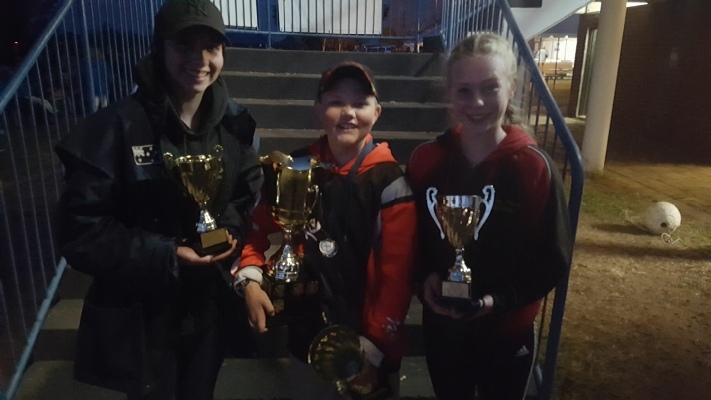 The APBA or Club may include pictures of Formula Future drivers that have written an article or made a quote that could be of great interest to other boating members. 6. The APBA or Club may use group photographs or footage with very general labels, such as race day at XYZ. 7. The APBA or Club will only use images of Formula Future drivers who are suitably dressed, to reduce the risk of such images being used inappropriately. Please note: The press are exempt from the Data Protection Act and may want to include the names and personal details of children and adults in the media. Subject: The use of non-standard throttle cams in Formula Future classes, motor modifications and fuel. It has been bought to the NSW Councils’ attention that some engines are not using the standard production throttle cam as produced by manufacturers and sold with some brands of 6 hp, 9.9hp and 15 hp engines. The throttle cam can be easily checked and any motor found using a non-standard throttle cam will not be permitted to race in any Championship event, unless the original throttle cam is reinstalled to the engine and rechecked. Rule 1604.01 All outboard motors must meet the requirements for a standard motor. 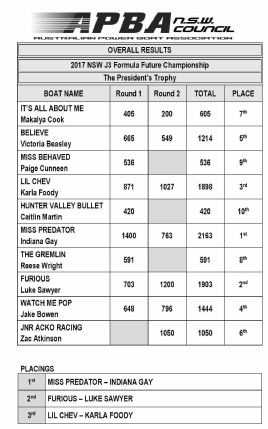 Only the modifications listed in Specific Outboard Rules 1203.00 to 1203.2414 will be permitted. Rule 1604.04 FUEL – Fuels must be commercially available unleaded fuel. These are additional Upper Hawkesbury Formula Future Club Rules, however the APBA could be looking to make these rules National in the near future. One of the most important safety concerns our club has is flotation of the boats. All junior boats competing at UHPBC are required to have been 'sink tested'. This would require you to remove your engine and we will bolt an old outboard block and attempt to sink your boat in a controlled environment. 1. We have allowed the continued use of 'race' propellors but will monitor this closely. 2. All kill switches are to be mounted in between the driver and the steering wheel in a safe position as not to be able to be caught on anything inside the boat. 3. All steering cables are to be below deck height and in a position not to obstruct the drivers egress from the boat. 4. All drivers are to have the seat fitted a reasonable distance from the steering wheel as not to hinder the drivers egress from the boat in the case of an emergency. This will be adjudicated on by our scrutineers. 5. Engine height: Must have the top of the exhaust tube no higher than the lowest wetted area of the boat. 6. All boats must have a current APBA engine seal. 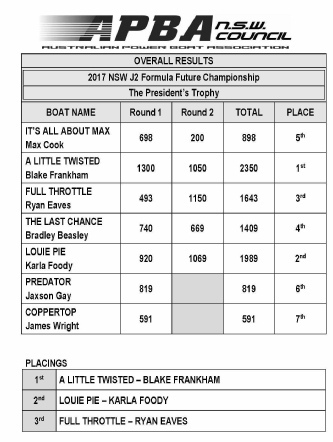 12 months of racing and it came down to just 60 points between Brad Beasley and Karla Foody in the 2017 /2018 Glenn Banks Trophy - NSW Formula Future Point Score. 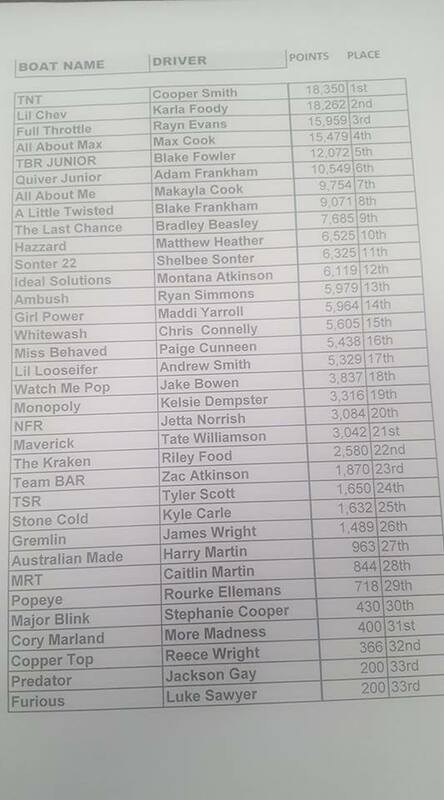 44 competitors from NSW, VIC, QLD and SA. Well done to all of the competitors!! Provisional Results - Are here!